MY wife could be one of the best advertisements for some of the smartest health features of the Apple Watch. While wearing the series 3 version of the watch, she was pinged with an alert that her heart rate was too high. In hindsight, she probably should have taken more notice of it, but instead continued to soldier on through work, even though she was not feeling that flash. It was only hours later, after finishing her shift, she decided to take herself off to the local medical clinic. 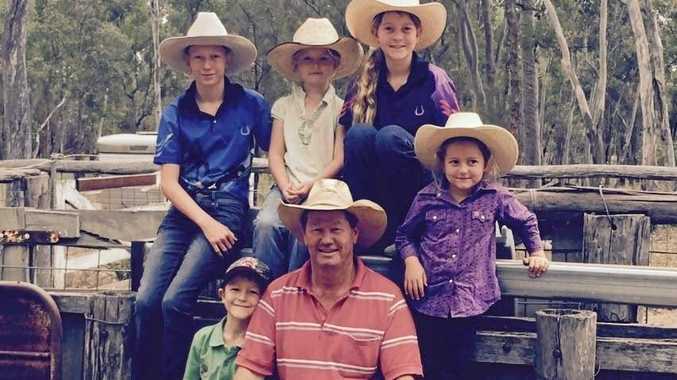 In wasn't long before she was in the back of an ambulance after being diagnosed with a worrying heart arrhythmia. BIGGER: The latest Apple Watch is certainly easier to read, thanks to a 30% bigger display. Fortunately, she only required an overnight stay in hospital and has been able to get the problem under control. Better heart rate monitoring is just one of the many features of the series 4 version of Apple Watch. The watch now warns if your heart rate is too slow. The low-heart rate alert that can be triggered when the watch detects your pulse has dropped to 40, 45 or 50 bpm for 10 minutes. For elderly people, it can also alert authorities if you have a fall. The new watch is certainly an improvement over the last model. Its slimmer design is easier on the eye, and more comfortable under long sleeve shirts. Some of the new watch faces are beautiful to look at and incredibly functional. For example, you can see what appointments you might have next, what the UV rating is right now, the temperature as well as the time in another city - all from the same screen. The display is 30% larger, something you will notice if you are trying to scroll through an important email or message on the run. 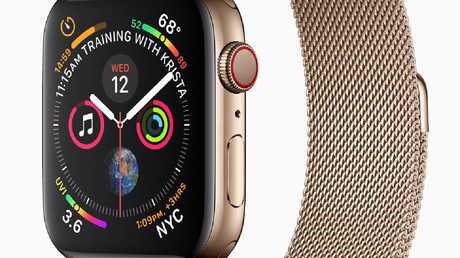 The Apple Watch Series 4 will encourage you to get moving. The speakers are also considerably louder which means you can talk via your watch in most crowds and still hear what the person on the other end is saying. But it's all the little things that the watch does that makes it something you will use every day. If you're driving in the city, for example, being 'tapped' when you have to make a turn and having the directions arrow on your screen is so much safer than trying to look at a phone. If you're using Apple Music, you can simple raise your wrist and say Siri 'play me some Midnight Oil' and that happens within an instant. 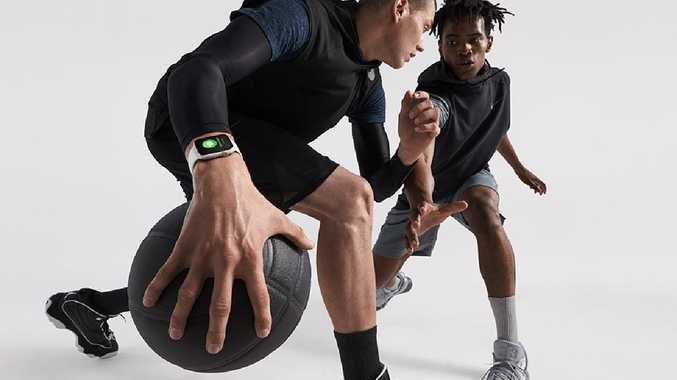 CHALLENGE: You can invite friends with an Apple Watch to a fitness challenge or use the Walkie Talkie feature to chat. On the fitness side, you are continually being encouraged to stand every hour, move more, exercise more and then congratulated when you have achieved your goals. Trust me, 'closing the rings' will become your new mantra. The watch features a built in 4G connection so you can make calls from your watch, even if you don't have your phone with you. 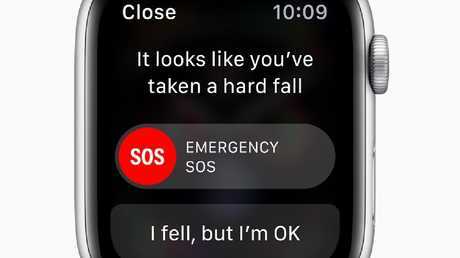 The Apple Watch Series 4 includes fall detection. FANCY YOUR OWN WATCH WALKIE TALKIE? For the Maxwell Smart type geeks out there, one of the newest features of the WatchOS software is Walkie-Talkie. 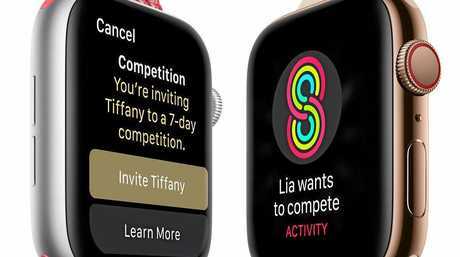 You can invite another Apple Watch user to join you in swapping instant voice messages. In a practical sense, you could see that feature come in very handy in something like a hotel or hospital setting where constant communication with people on the go is important. 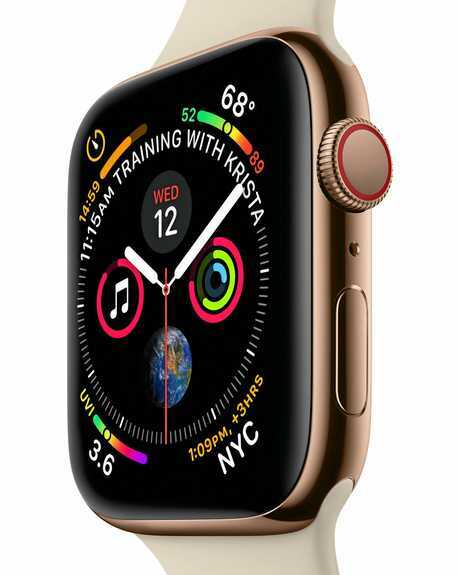 The Apple Watch Series 4, adds extra watchfaces, a larger screen, and comes in gold. One of my biggest - and only complaints about the watch is the battery. Having to charge the battery every night is a drag, though I have managed to get through a day and a half with limited use. I also think Apple could offer a few more design options, rather than just the one standard look. I'd love to see an even bigger, more rugged watch to wear. With a starting price of $599 or $749 with the full cellular features, the Apple Watch is expensive. But if it saves your life - or gets you back in good health, it will be well worth the investment.